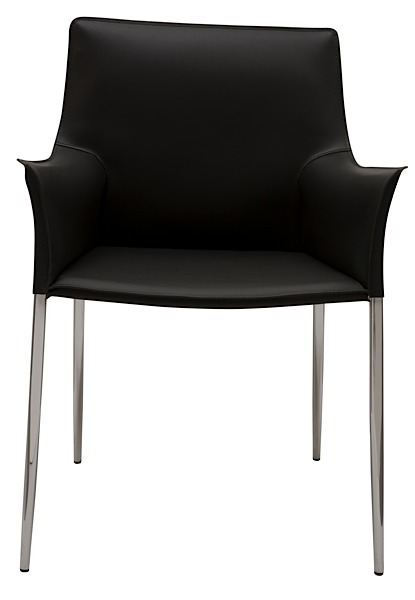 The Colter Arm Chair features commercial quality construction with a clean modern design. 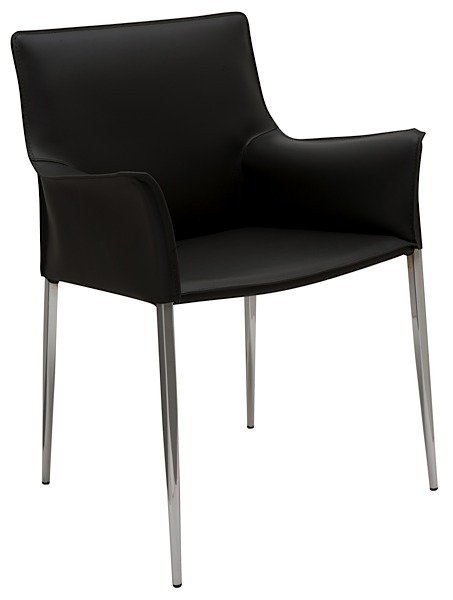 Crafted with a chromed, steel frame the unit is upholstered in 100% leather with ultra clean tone-on-tone stitching. 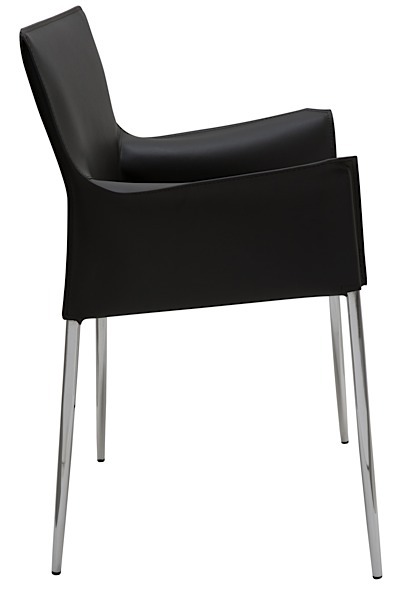 The unsurpassed quality of the chair makes it ideal for multiple applications including home, office, restaurant, hotel, you name it! 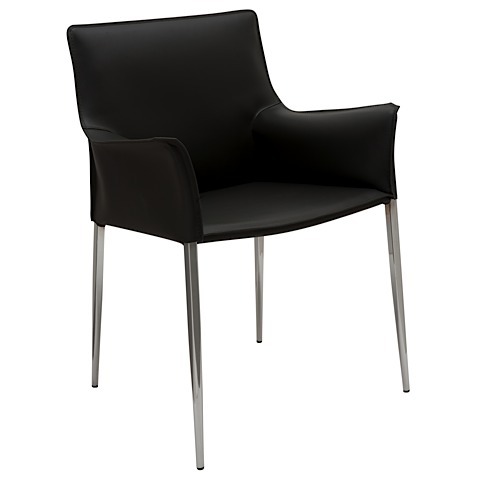 Coordinates nicely with matching Colter Stools and Arm Chair. Seat height 18.5-inches.